Me and Pops caught these couple on Sat. in the fog and mist. Not bad for a couple hrs on the water. Man, I'm jealous. We have crappie here it Utah, but nothing compared to those. Them's some nice specks JBucks what state are you in? Wow! 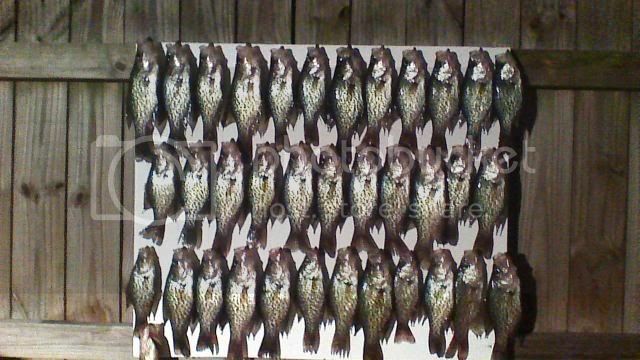 Nice mess of crappie! Ice fishermen here are catching a few but not anything like that big mess of fish. here in Georgia, the bite is really starting to pickup. 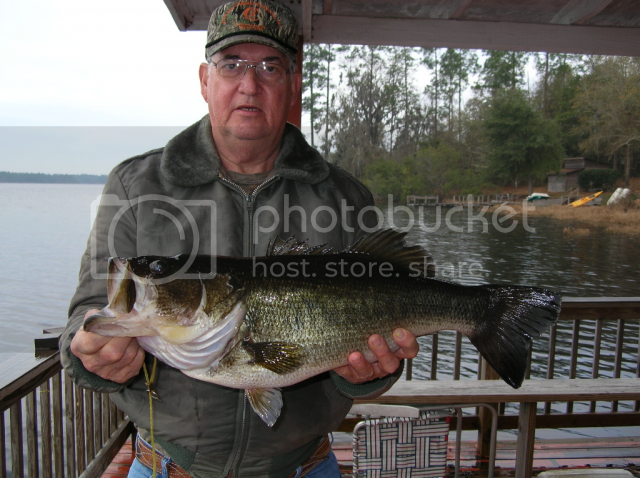 One of the guys that fishes on the same lake we do, called me and said in the last 4 days, he caught and cleaned 150. Got to run a 5K on Sat. morning but the rest of the day will be spent on the lake! 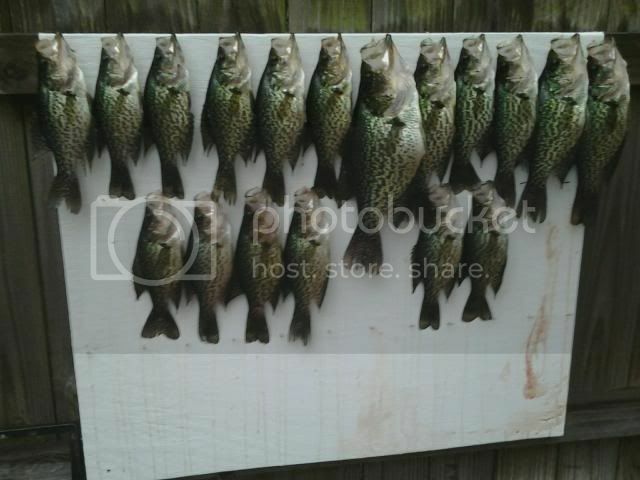 those in the picture are all over 10" and the big one in the middle went 14.5" and weighed in at 2lbs 4oz. Okay just so you know. I'm about 5 seconds from coming down and finding you and breaking both your arms!! With this whacky weather the barometer must be going crazy. To get in on them specks hitting that well you must have timed it perfectly!! Nothing better than some crappie and bluegill fillets deep fried in peanut oil after being dunked in buttermilk and Calhoun Bend Mill coating! Don't forget the hushpuppies, coleslaw, and sweet tea. I'm getting hungry and thirsty just reading your posts! Pops caught this little one last Thursday. He caught it on a No. 6 Crappie hook on 6 lb test line on a ultra light rod. It weighed in at 8 lbs 14 oz.! Then on Saturday after doing a 5 k in the rain, the clouds cleared out and we got on the lake about 2:30pm. We fished until 5:30 or so and then came in. Had all of these in the live well to clean. All of them except 3 or 4 went about a pound a piece. No big ones, just good eating size.